We’ve all been there: in the store, looking for the item we need, at the mercy of an unhelpful attendant. It can feel especially true at a big box auto part store, which is why we want you to know Auffenberg Kia has Kia parts built to fit your exact make and model, and you can order our parts online. Need a Kia Soul battery? Shopping for Optima wiper blades? Need new brakes for your Sorento or Sportage? Looking to install Kia remote start? They’re all here at Auffenberg Kia, keeping your Kia in top shape with genuine OEM parts and accessories whether you stick around the streets of O'Fallon or venture on a road trip well beyond Mascoutah and Smithton. 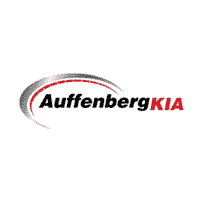 Auffenberg Kia regularly posts new auto parts specials, specifically tailored to the needs of drivers from Belleville, Collinsville, Florissant and St Louis, MO. That means the part you’re looking for just might be on sale. And we all know that the only thing better than finding what you’re looking for is finding it for less.